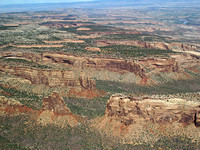 Colorado National Monument is located between Fruita and Grand Junction on Colorado's western slope. The monument was formed in 1911 by the efforts of John Otto, a man who dedicated his life to the preservation of the region. 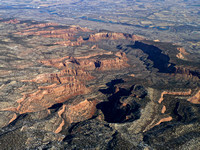 The geology of this 32 square mile region showcases beautiful red sandstone canyons of ancient precambrian basement rocks which are only visible in a few places on the Colorado Plateau. Visitors to the monument enjoy convenient access to the monument via I-70 and Rim Rock Drive, otherwise known as the "Tour of the Moon" by road bikers. 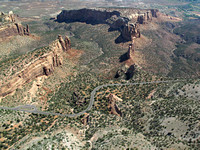 Rim Rock Drive is a 23 mile road and provides access to 19 scenic overlooks and numerous hiking trails. A wide range of people enjoy this monument, from geologists and bird watchers to photographers and rock climbers. Proponents of rebranding the monument as a park said there would be no changes to how the canyons were managed. The National Park Service, which has run the land since 1911, would continue to be in charge. An act of Congress would create the new National Park. 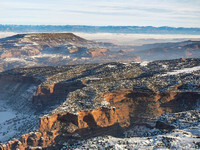 The campaign to make this a National Park has been spearheaded by Senator Mark Udall of Colorado in the hope that a new designation would bring much needed tourism into the area. He and Representative Scott Tipton are listening to the local community and will take their direction from the public voice. An online survey by the committee and public forums suggested that people were evenly split — 40 percent in favor of making a change, 40 percent opposed and 20 percent who said they did not know or did not care. 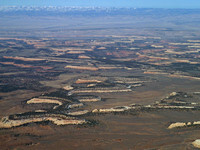 Residents, many who grew up ranching the high mesas or exploring the monument’s desolate canyons years ago, said the monument was special precisely because it was so easily overlooked by tourists bound for marquee national parks. Some said they worried about car crashes, fires, garbage and increased pollution. They worried that its boundaries would grow, pushing at their property lines. View a short news clip about Senator Udall's meeting in Grand Junction here!